Membership with BikeTexas ensures that a full-time bicycle advocacy group of professionals are looking out for your interests, keeping the roads open to cyclists, and working to establish a more informed government and public. Membership aligns you with other Texans to create a unified voice for cyclists to participate in state and federal transportation issues. Membership is the best way to be a part of a proven, effective advocacy group. This website is a member-supported, member-driven hub of information about bicycle safety, access, and education in the Lone Star State. 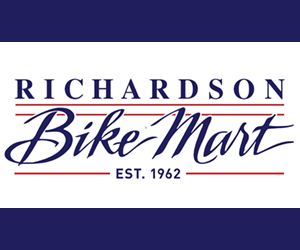 This is often the first point of contact for anyone wanting to learn more about cycling in Texas, and is a wonderful resource to connect clubs, communities, businesses, and individuals to the cycling opportunities that exist across the state. The website is also a source of news on the latest legislative actions and education programs of BikeTexas. 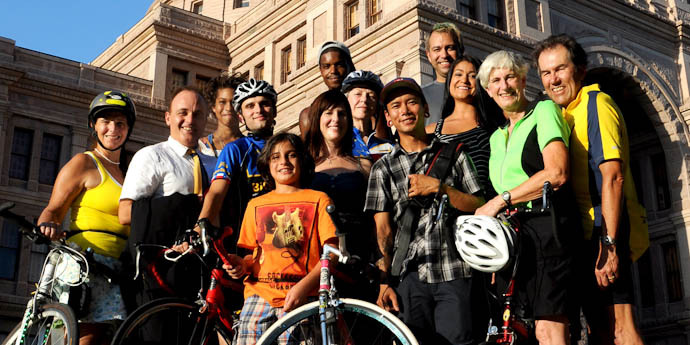 This monthly email provides quick information about BikeTexas legislative efforts and education events, relates interesting stories from the cycling world, and features details about upcoming events and rides. This email is distributed to thousands of email addresses and is a great way to stay informed of the progress of BikeTexas programs and initiatives. Action Alerts are sent to leverage our grassroots support at times of legislative urgency. These emails keep you informed of the rapid actions of our state and federal legislators, and provide you with an opportunity to participate in the legislative process at the most critical times. Event Updates are sent to regional audiences to inform members of special events, fun cycling-to-dos such as cycling related art exhibits, auctions, movie nights and more. Event Updates will also inform you of upcoming advocacy events such as the BikeTexas Cyclists in Suits Lobby Day and our Annual Membership Meetings. 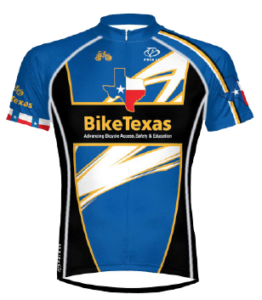 With membership at the $240 level you get your choice of a BikeTexas ball cap or one of our popular T-shirts, and at the $360 level or above, we will give you your choice of our BikeTexas Jersey or T-shirt to wear in support of Texas’ only statewide advocacy and education organization.